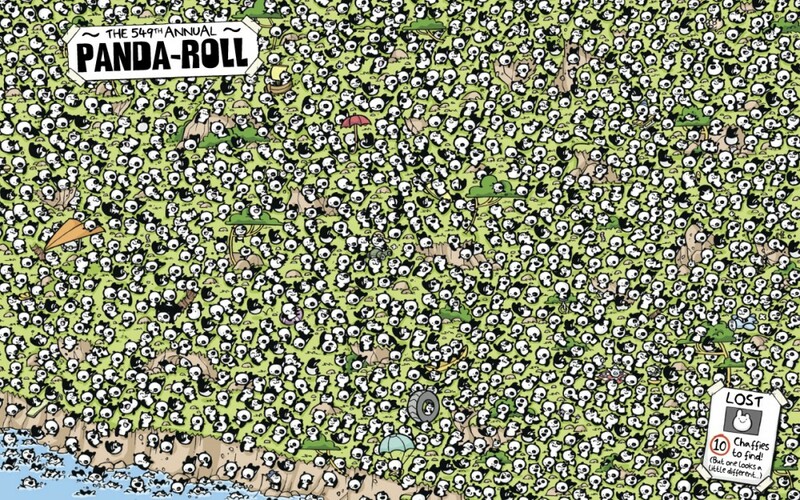 Recently we came across a really fun book that any fans of ‘Where’s Wally’ will love, called Find Chaffy. A Chaffy is a very cute creature with one and a half ears but – as we have found since getting this book – they’re very hard to find! And a number of them have wandered off into the great wide world. Created by Jamie Smart, Find Chaffy is full of different locations – from the North Pole to a creepy graveyard – that always have one or a few Chaffies and lots of other creatures including ghosts, angry robots and stompy dinosaurs! The result is endless fun trying to track the Chaffies down! So if you reckon you want the challenge of spotting Chaffy, we recommend you check out this book. And to give you a little bit of a taste, click the image below to see how good at spotting Chaffies you really are!